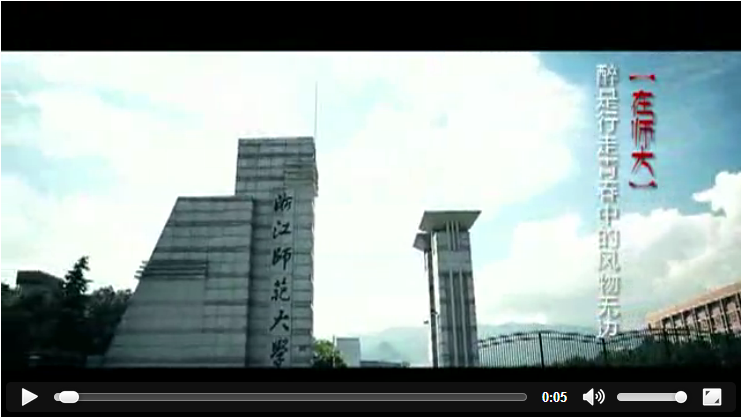 Founded in 1956, Zhejiang Normal University (ZJNU) covers two campuses in Zhangjiang province. The main one is located in Jinhua, a cultural and historical city in the central part of the province, the other one is in Hangzhou, the capital of the province. Its green and beautiful campus furnishes an ideal place for living, study and work. As one of the top 100 universities in China and a key provincial university, ZJNU specializes in teacher education with multiple branches of learning. It offers 65 undergraduate programs, 151 master’s programs and 20 doctoral programs from 19 colleges namely: Chuyang Honors College, College of Economics and Management, China-Africa International Business School, College of Law and Political Science, College of Teacher Education, Hangzhou College of Pre-school Teacher Education, College of Physical Education and Health Science, College of Humanities, College of Foreign Languages, School of Music, School of Fine Arts, College of Communication and Creative Culture, College of Mathematics, Physics and Information Engineering, College of Chemistry and Life Sciences, College of Geography and Environmental Sciences, College of International Education, College of Engineering, College of Vocational and Technical Training and Xingzhi College. The university has an enrolment of over 25,300 undergraduates, 5,300 postgraduates, 1,500 international students and 16,000 students in various adult education programs. Among the total staff of 2,840, there are 1,580 full-time teachers, including 310 full professors and 610 associate professors. The university is well equipped with advanced and multi-functional facilities. The library has a collection of over 3.6 million hard-copy books and 2.3 million e-books. ZJNU makes strenuous efforts to open up to the outside world. In recent years, ties of academic exchange and cooperation have been set up between this university and over 140 foreign universities and research institutes in more than 50 countries. It has established student exchange programs with more than 40 overseas partner universities. The university is authorized by the Ministry of Education to recruit international students who are sponsored by Chinese Government Scholarships and Confucius Institute Scholarships. The Educational Aid Centre for Africa and Asia and ASEAN-China Educational Training Centre of the Ministry of Education and the China Aid Training Centre for Primary and Secondary Education of the Ministry of Commerce are located at ZJNU. So far, the university has established five Confucius Institutes in the US, Ukraine, Cameroon, Mozambique and Tanzania respectively.